Liebe Crowdfunding UnterstützerInnen! Dear crowdfungding supporters! Die Erfolgsgeschichte von TRISTAN ISOLDE DESASTER geht weiter - und gerne möchten wir unseren UnterstützerInnen, die von der ersten Minute an uns geglaubt haben, ein Update geben! Weiters gelang uns von der Stadt Wien eine «Wiederaufnahmeförderung für herausragende Produktionen Förderung» zu bekommen - das erlaubt uns am 9., 10. und 24. April um 20 im OFF Theater in der Kirchengasse 41, 1070 Wien zu spielen. Und natürlich können wir hier noch Publikum brauchen - gerne wollen wir vor vollem Hause spielen! Wenn Ihr es also noch nicht gesehen habt oder ihr es nochmals sehen wollt: Jetzt ist Eure Chance! 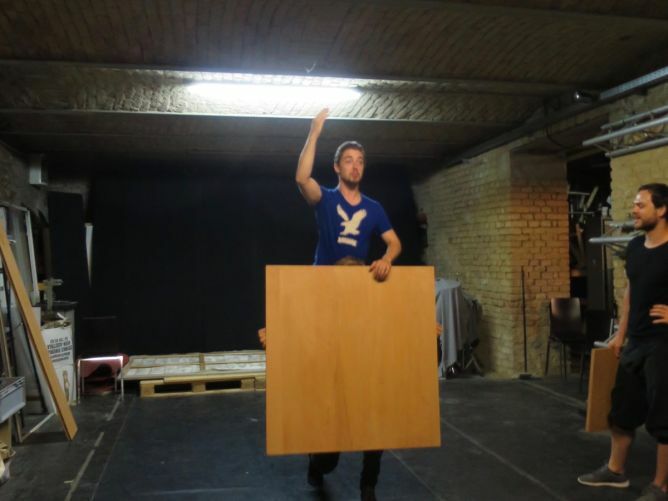 Am besten reserviert Ihr gleich ein Ticket unter tickets@iliostheatre.com. Wenn es euch gefallen hat, freuen wir uns natürlich auch über jede Weiterempfehlung! The adventures of TRISTAN ISOLDE DESASTER continue! And we wish to give you an update - to you who believed in us from the very first moment! In automn 2017 we were invited to a theater festival in Heidelberg/Germany where we won the 2nd price of the jury. Wir möchten uns bei euch allen nochmals herzlich für eure finanzielle Unterstützung bedanken. Mit eurer Hilfe ist es uns gelungen ein tolles Stück auf die Beine zu stellen. Die Publikumsreaktionen waren fantastisch! Thank you for supporting us. Your help made it possible for us to create a great evening. The pulblic’s reactions were great! Liebe… Totschlag… Anbetung… Verzweiflung… Eifersucht… Vergebung… Hochzeit… Trennung… Tristan… Isolde… Desaster…. 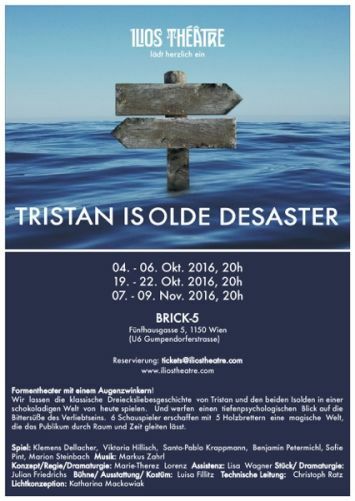 Wir kommen in den Proben gut voran – das ist gut so, denn die Premiere naht mit Riesenschritten: heute in 3 Wochen ist es soweit, am 4.10. im Brick-5 um 20h findet die Uraufführung von TRISTAN ISOLDE DESASTER statt! Neun Aufführungen am 5., 6., 19.-22 Oktober und 7.-9. November folgen! Anbei die Einladung mit den wichtigsten Informationen! Love… murder… adoration… despair… jealousy… forgiveness… marriage…. separation.. That’s the world of Tristan… Isolde… Desaster. 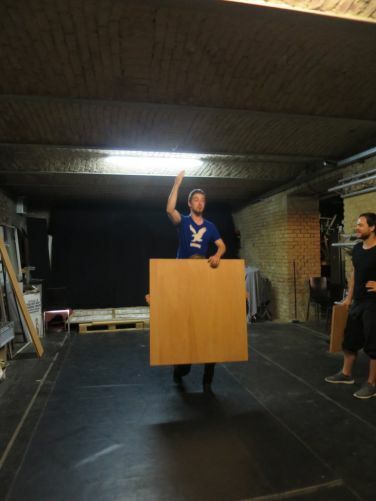 Time advances fast, rehearsals advance well – in only 3 weeks time our premiere takes place in the Viennese brick-5! All guests are very much welcome – even from abroad ;)) We would be happy to present the oeuvre to you that you made possible with your contribution! Wir freuen uns schon, euch im Herbst das Ergebnis unserer Arbeit präsentieren zu können – ich hoffe, wir sehen euch alle zahlreich! 1000 Dank und alles Liebe! Dear all! Chères toutes et chers tous! We are looking forward to present our show in autoumn and hope to see you there! And come on: I know you like Vienna and you have got 3 months to perfect your German to easily follow the play ;)))! Save the dates: October 4-6, 19-22 and November 7-9, 20h in the brick-5! 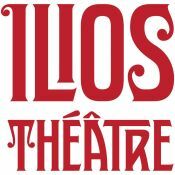 For tickets reservations: tickets@iliostheatre.com . Last night, sometime during the EURO final, before the portugues goal, we hit OUR crowdfunding GOAL: 100%! 🏆 We are very happy and extremely thankful! Thank youuu! The campaign only ends on thursday 1 pm – so please spread the word! We appreciate any further backing, as our goal of €8.000 is the absolute minimum that we need. We want to create a great show! Gestern Nacht, irgendwann während des EM Finales, noch vor dem Tor, haben wir UNSER crowdfunding GOAL erreicht: 100%! 🏆 WIr freuen uns riesig und danken allen Unterstützern aufs Allerherzlichste! Danke danke danke! Die Kampagne läuft noch bis Do, 13h. Bitte also gerne weitererzählen und –leiten! Wir schätzen jede weitere Unterstützung – die € 8.000 sind das absolut Minimum, das wir benötigen! Wir wollen ein großartiges Stück kreieren! And our first press article / Und unsere erster Presseartikel: in der Wiener Bezirkszeitung! All the best! Alles Liebe! wir danken euch herzlichst für all eure Unterstützung! Durch eure Hilfe haben wir die erste Hürde geschafft und innerhalb einer guten Woche ein Drittel erreicht. Das heißt auch, dass wir den Kunstpreis der Bank Austria bekommen haben: €2.667 der Bank Austria wurde gerade eben auf unser wemakeit Konto überwiesen. we thank you so much and from our heart for all your support! Because of you we achieved the first milestone and collected a third within more or less a week! That means that we received the Bank Austria Art Award: €2.667 have just been transferred to our wemakeit account by the bank. This project ended successfully on 14/7/2016 13:00! LOVE HAIKU – Let yourself be carried away by love (poetry). We will write one especially for you. «FEEL GOOD» CHOCOLATE – Original recipes. Natural ingredients. Luxuriate in this special chocolate of the Viennese company XOCOLAT. The chocolate will be waiting for you when you come to the show. THEATRE TICKETS FOR PEOPLE WITH DISABILITIES – Bring joy to a member of the Frei-Raus charity (frei-raus.at). He or she will love the invitation! You will receive a thank-you message with photos of us in action. CHOCOLATE LIQUEUR – Have a love potion of your own. Spoil yourself with a delicious chocolate liqueur from XOCOLAT. It will be waiting for you when you come to the show. 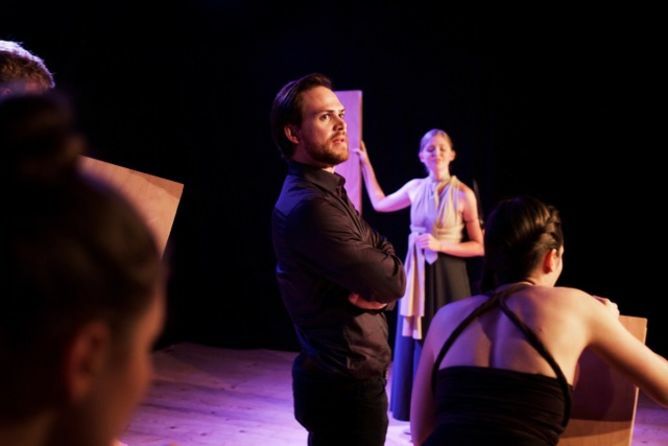 TICKET WITH ACTOR MEET AND GREET – You will receive a ticket to the show and afterwards you will have the opportunity to exclusively talk to the director and some of the actors for half an hour over a glass of wine. QUALITY TIME WITH REFUGEES – Support the integration of refugees. 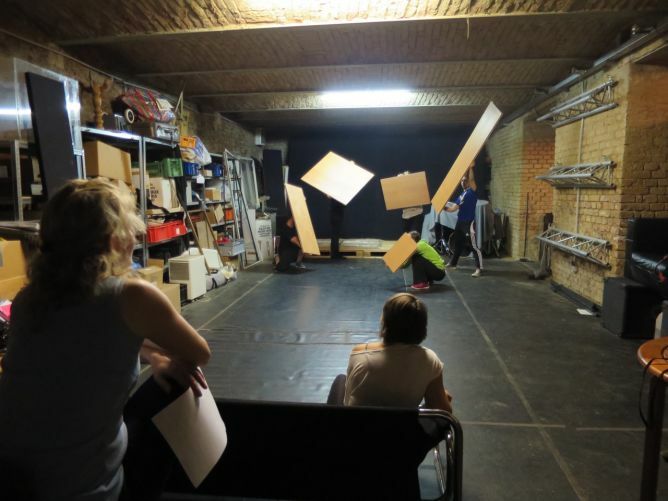 One of our actors will take time to provide an unforgettable event for an unaccompanied minor female refugee with the help of the charity Buildung Bridges – Kunst in Bewegung. We will pay for any outlays such as drinks, tickets etc. And you will receive a thank-you message with photos of us in action. 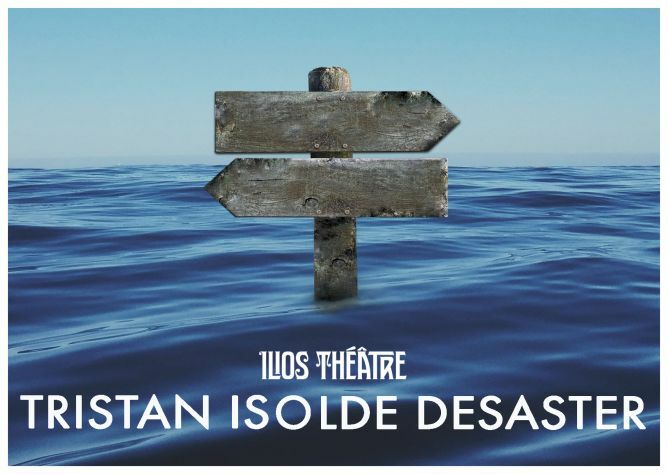 TICKETS FOR THE ZOTTER SCHOKO-LADEN-THEATER & TRISTAN ISOLDE DESASTER – Unique offer: double chocolate theatre treat. 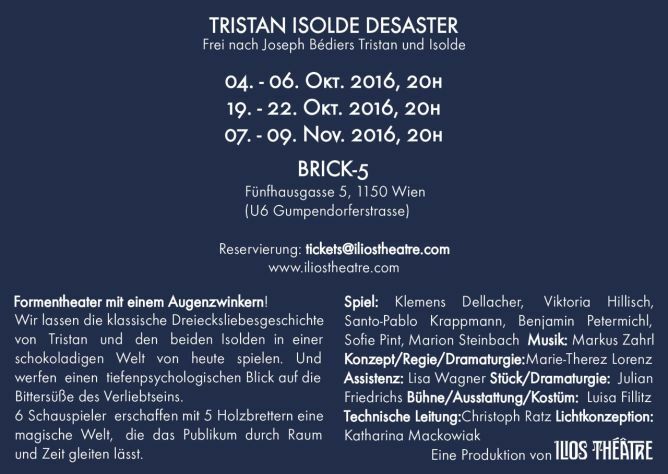 Tickets for the Schoko-Laden-Theater of Zotter und our chocolate love story Tristan Isolde Desaster! QUALITY TIME WITH REFUGEES – Support the integration of refugees. One of our actors will take time to provide an unforgettable event for an unaccompanied minor male refugee. We will pay for any outlays such as drinks, tickets & co and you will receive a thank-you message with photos of us in action. REHEARSAL & CHAT – Experience the bustle and hectic of rehearsals in September. Afterwards we’ll answer your questions over a glass of wine. VOICE OR SPEECH COACHING – Marie-Therez is also an accredited voice and speech coach. This hour-long session lets you experience your voice and resonance anew. MASSAGE – An hour of deep relaxtion. Marie-Therez has learnt techniques to rid your muscles of stress and to let blocked energy flow again. Come and relax in the 13th district of Vienna. A BOX OF JOY – A packet filled with joy. Thoughts on luck and life. Exercises that relax and focus and keep you fit. Recipes. Links to Videos. Video messages from us. For 7 heavenly weeks you will receive a weekly feel-good mail from us. XOCOLAT MANUFAKTUR WORKSHOP – Dive into the world of exquisite chocolate creations. Includes an indulgent tasting session with sparkling wine. All self-made chocolate can be taken home with you. XOCOLAT offers dates regularly. And as chocolate is all about love, we will also write a love haiku for you. 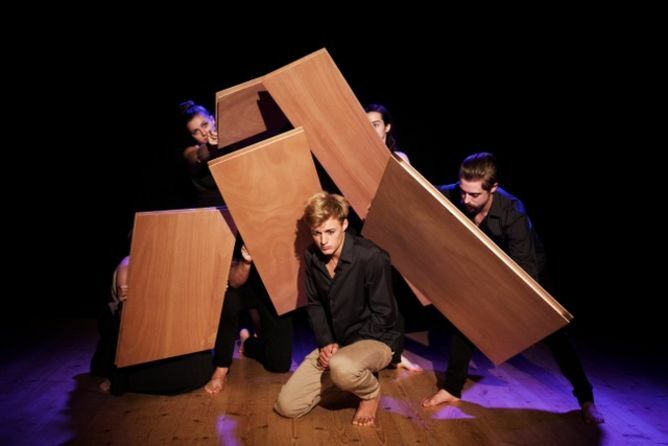 6 X THEATRE TRAINING – Improvisation. Movement. Developing scenes. A three hour training course with Marie-Therez on a Saturday afternoon. For budding thespians as well as professionals. Reserve your block of 6 sessions now! GERMAN COURSE FOR REFUGEES – Support the integration of refugees. We will provide 6 hourly German lessons for refugees. Continuity is key. Help us to achieve as many hours as possible. You will receive a thank-you message with photos of us in action. HALFDAY WORKSHOP FOR REFUGEES – Life in a refugee centre is often dull and seldom easy. 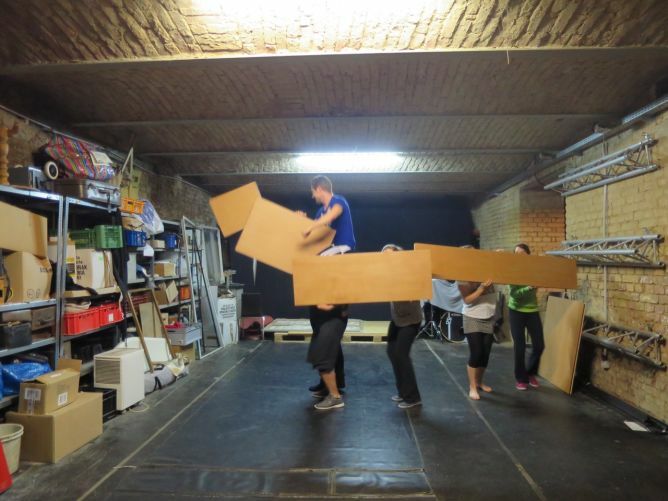 Help refugees to escape for a few hours into creativity and drama games. 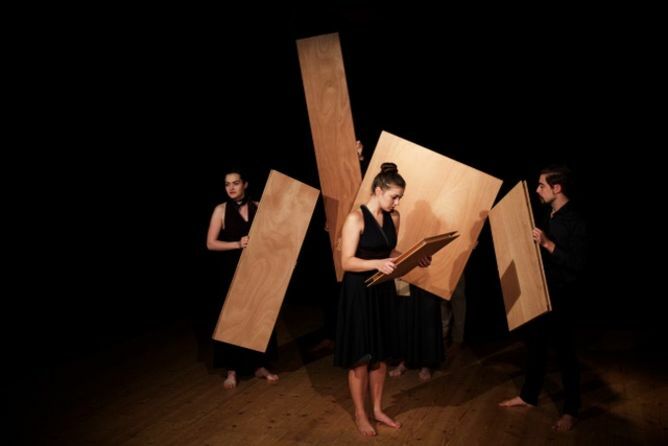 Two of us will put together a workshop with dance, rhythm and improvisations. You will receive a thank-you message with photos of us in action. INTEGRATION PACKET FOR REFUGEES – Life in a refugee centre is often monotonous and rarely easy. Help women and children to escape regularly into creativity and drama games. Two of us will put together a programme revolving around theatre techniques for three hours a week for a total of five weeks. In a house of the Samariterbund. EXCLUSIVE PRIVATE PERFORMANCE – Have the whole theatre to yourself and your guests. 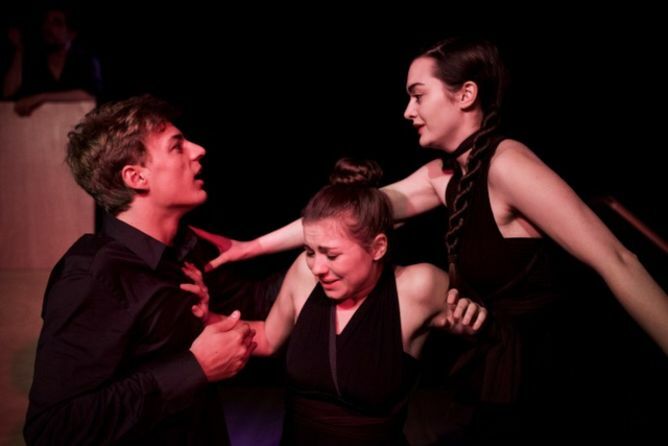 Hire one of the 10 performances at the Brick-5 and start the evening with an aperitif served by us. 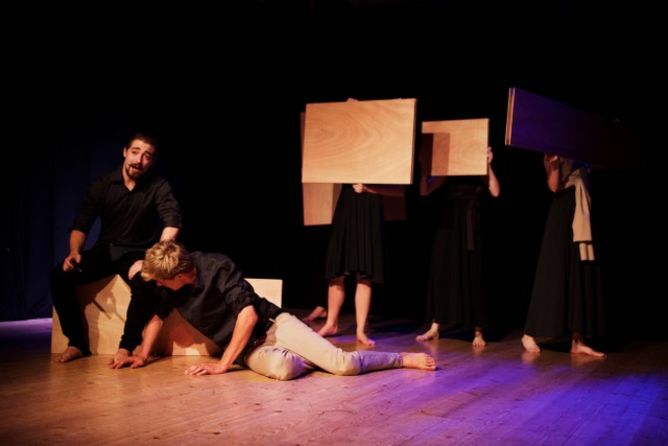 ILIOS Théâtre combines movement, speech and music with a dash of humour to create a physical theatre that is profound, sensuous and inventive. 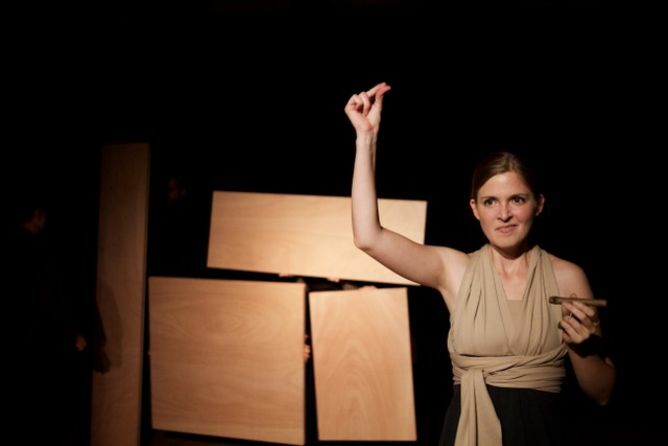 Marie-Therez Lorenz founded ILIOS Théâtre in Paris in 2014 with Lecoq-trained artists. 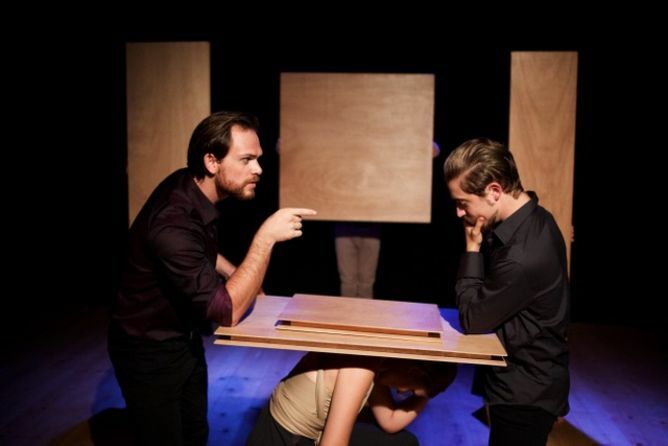 Since the end of 2015 ILIOS Théâtre is based in Vienna with a new line-up.